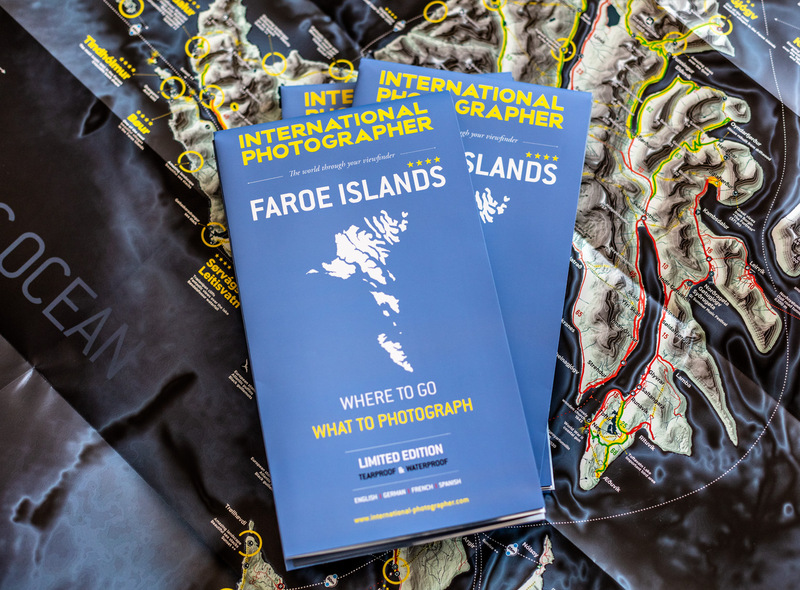 The Map, Guide and Digital Atlas of the Faroe Islands are included in this Travel Pack. The Faroe Islands are a true paradise. This discreet archipelago, lost between Scotland and Iceland, occupies, since my first trip in January 2017, the center of all my attentions. 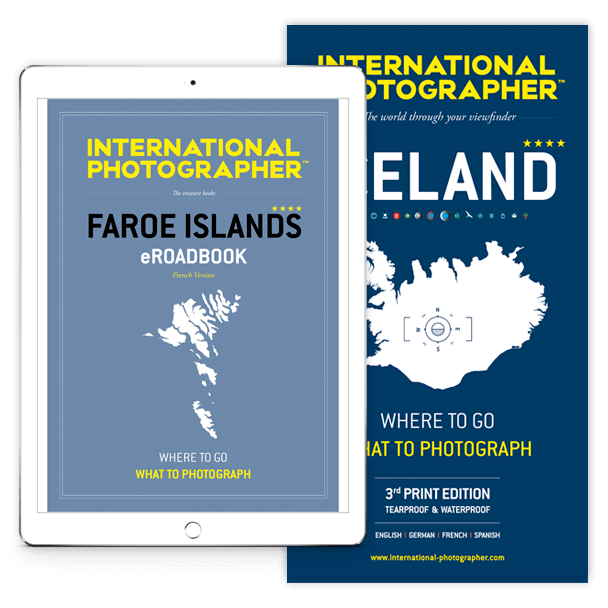 The Digital guide + Atlas + printed map brings all that you need for a perfect trip to the Faroe Islands. Three indispensable tools to not miss anything of this flamboyant territory. 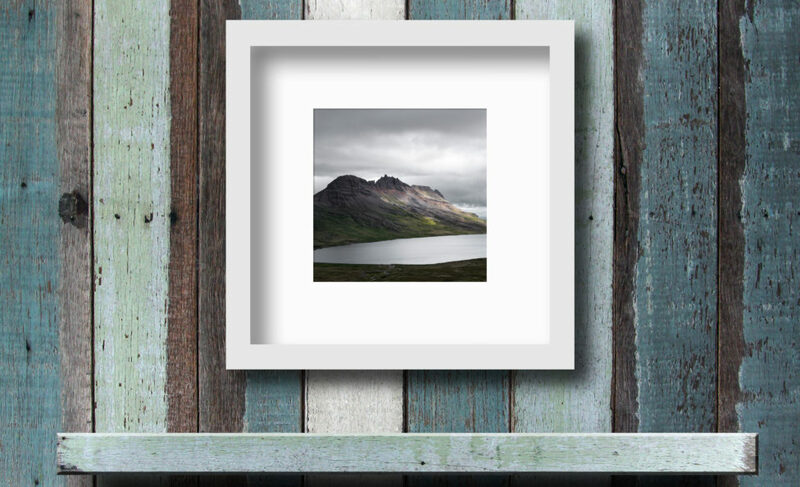 This project has been supported by Visit Faroe islands. → eGuide + Atlas: Instant download after your purchase. → Printed Map: Worldwide Priority Shipping. 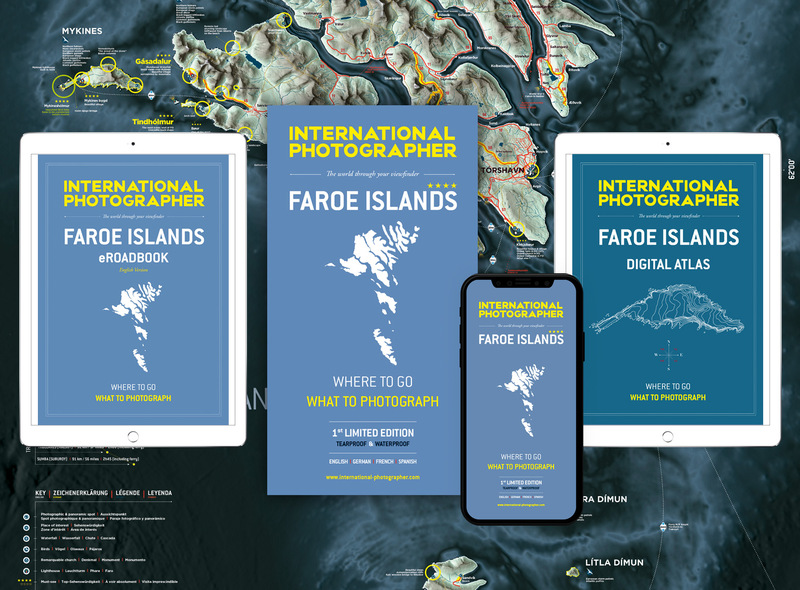 From satellite imagery in very high definition and using the latest technology, the map of the Faroe Islands offers you what is best in terms of information, design, and enjoyment of use. You will find essential road information as well as a detailed description of all areas of interest (mountains, cliffs, waterfalls, lighthouses, remarkable churches, fauna, flora and curiosities …). → Many informations thanks to several months of exploration. → Terrain from ultra-precise satellite images (5 meters). → Main travel times by car and ferry. → List of tunnels and their specifications. 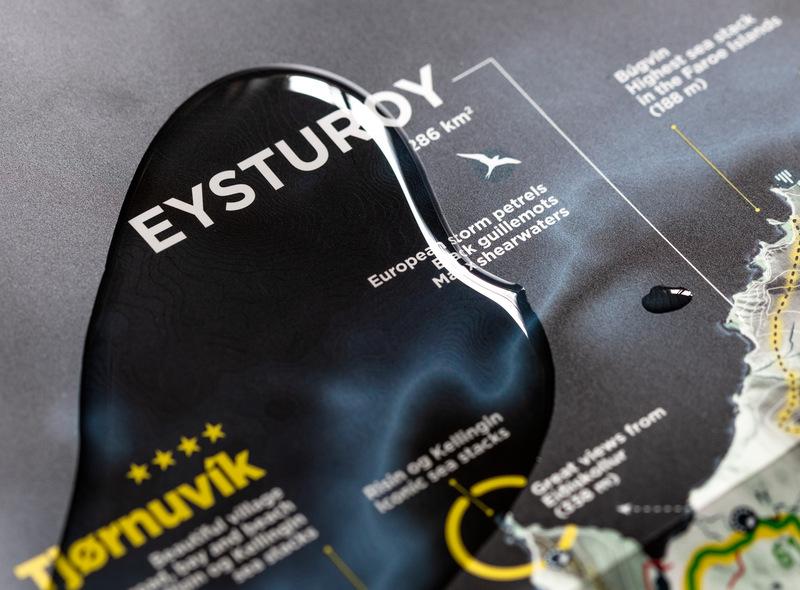 → Increased contrast and readability thanks to the best inks including a metallic ink. → Map key in 4 languages: English / German / Spanish / French. → Tearproof and waterproof paper. Map printed on a tearproof and waterproof paper made in France. Légal Deposit National Library : May 2018. The Digital Atlas is a new product that allows you to immediately enjoy the map without worrying about the shipping time of your printed map. It’s also a good back-up in case that you loose it! This atlas contains the printed map spread over several pages as well as many useful maps for your trip. Légal Deposit French National Library : June 2018. Many PHOTOS with EXIFS, fully illustrated. Map: Tearproof and waterproof paper. The maps are shipped in sturdy enlevops (550g/m2). The maps are shipped everyday at 5 pm from Paris. They are stamped in INTERNATIONAL PRIORITY. Please note that there is no tracking number. 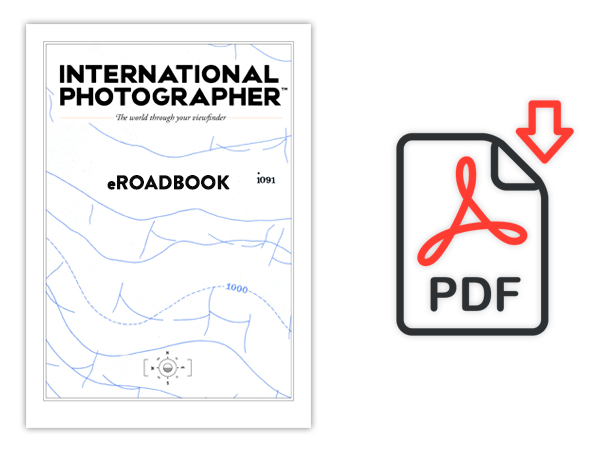 Your eROADBOOKs are High Resolution PDF. Once downloaded you can read them on every of your personal electronic devices. Your eROADBOOK DOWNLOAD LINK will be available in your member’s area immediatly after your purchase. folder on your Google Drive or Dropbox. Thereby all your digital guides will follow you everywhere! 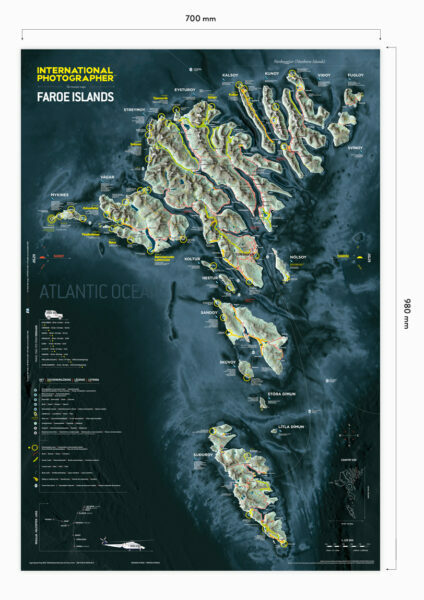 My copy of the Faroe Islands map arrived today, it is stunning, thank you so much for a fantastic product which is unique in quality and content. 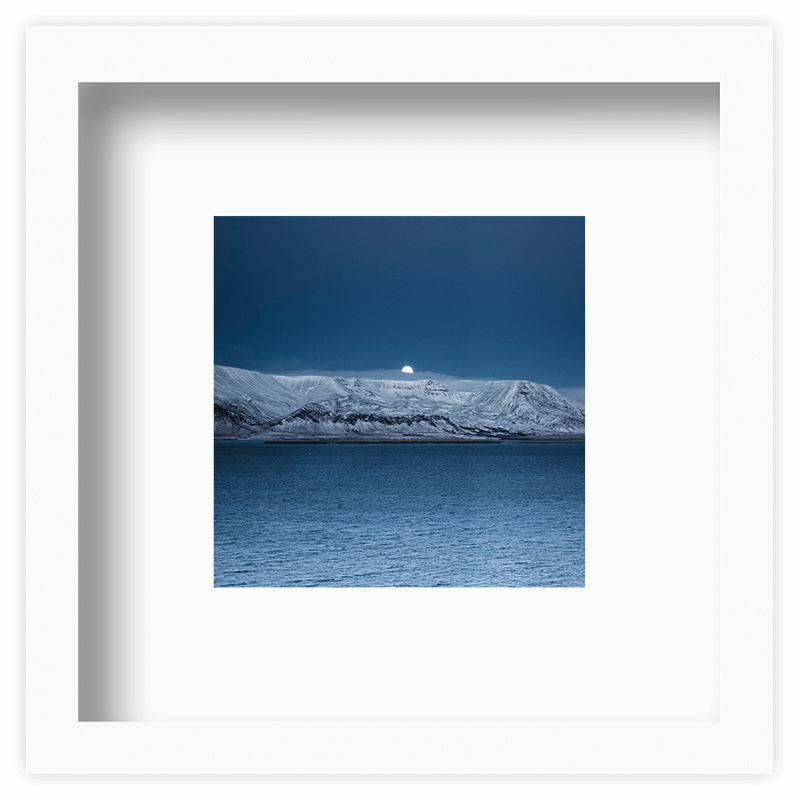 I bought the Iceland map a couple of years ago and it proved invaluable in planning that trip, without it I would have missed many of the stunning sights I know that the Faroe map together with the e-books will be the same. Well done for producing a first class item that can also stand up to winds that blow you over and prevent the car door opening. Thank you again for such a great product which you market at such a reasonable price, it is one which I can highly recommend to everyone. In June of 2018, my husband and I found a brief window of opportunity for some travels and made a last minute decision to visit the Faroe Islands. Under normal circumstances, I would never embark on an adventure of this scale with so little time to plan it, but I had been following International Photographer’s plans to release a new map, digital atlas, and eRoadbook for the Faroe Islands and I knew from my previous experience using their Iceland map and guide that I could “wing it” and trust in the research and advice provided by Michaël Lévy and his team. As with our Iceland trip, the Faroes map, digital atlas, and eRoadbook proved to be exceptionally valuable resources. With only nine days for sightseeing and some physical limitations due to our health, we had to carefully prioritize the sights of importance to us, understand the photographic opportunities and challenges, consider travel methods and times, and factor in our own capabilities in terms of hiking. The Faroe Islands are more understated than Iceland with its neatly packaged ring of wonders. The magic and fairytale beauty of the Faroes is found nestled in quaint seaside villages of turf-roofed cottages. It’s found in the eyes of the curious, wind-swept sheep who peek out at you from behind crumbling stone shelters as you hike to see lighthouses and rugged sea cliffs. It would take many scouting visits over the course of months and years to discover the gems hidden away on this secretive archipelago, which is precisely what International Photographer has done for all our benefit. Thanks to their research and the high quality map and guide products they produced, my husband and I could simply show up and have an amazing time, worry-free. The proof is in the stunning photos we were able to capture. 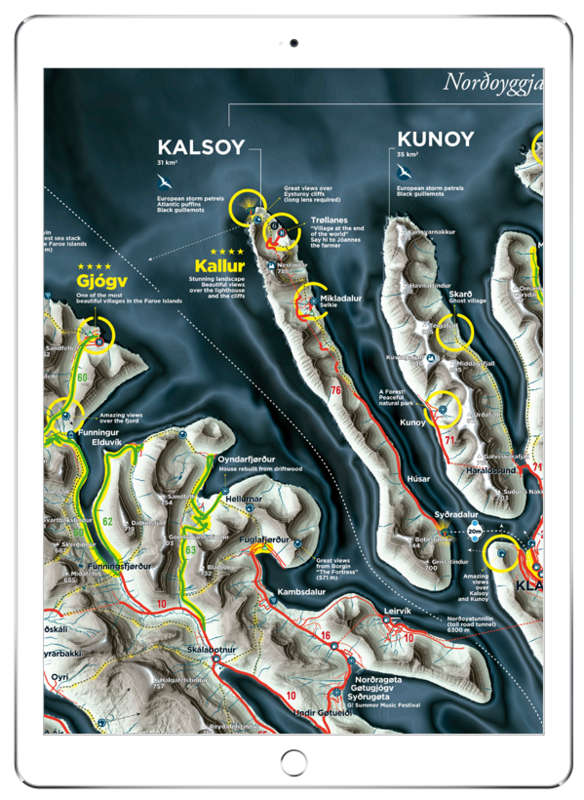 The Faroes map makes the same clever use of colors, symbols, and other visual conventions as the Iceland map, conveying a tremendous amount of information in a concise and intuitive way. The digital atlas displays the map conveniently on a tablet device and also provides detailed breakdowns of the road and ferry systems, must-see sights, recommended hikes, and more. The eRoadbook gives an introduction to the Faroese history, lore, and culture and provides countless insights for casual tourists, adventure travelers, and photographers alike. Trust me when I say these resources are as essential as your plane ticket and worth their weight in gold. Our trip went by too fast (as they always do) but we have since framed the map and displayed it prominently in our home. 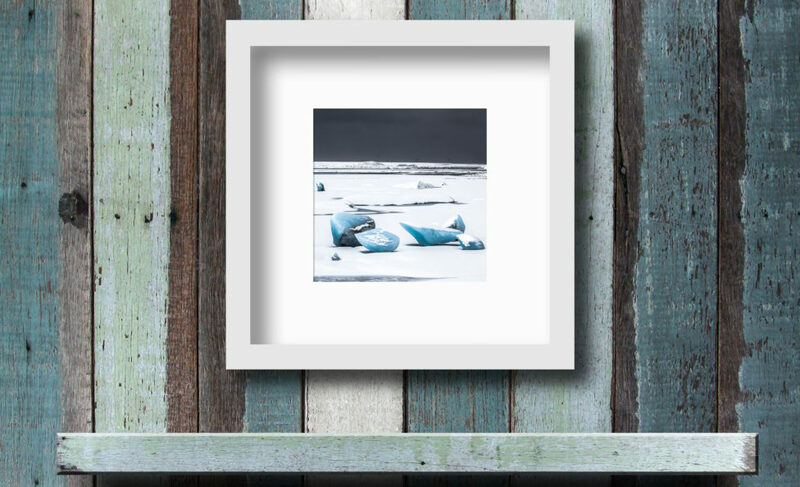 It is a beautiful work of art and a treasured keepsake that will keep our Faroes experience alive in our minds for many years to come. Another stunning piece of work from Michaël. 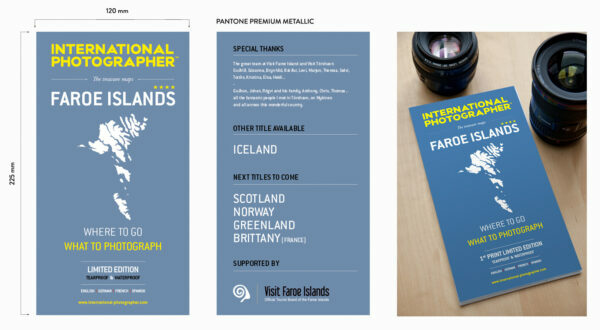 I had used the Iceland map on a previous trip and the Faroes package offers the same fantastic resource for any trip. In planning any trip tourism guides and general traveller reviews give an idea of the smorgasbord of things to see at a destination, but Michaël’s work enables the whole destination to be viewed from above so that journeys/connections can be planned and priorities created. So having seen a great image on the web, I can see where it fits into a Faroe itinerary on Michaël’s map. And so far I haven’t found any ‘must see’ places on the web, that are not already on Michaël’s map and guide. It makes my job as travel planner so easy. Also Michaël has been so good to deal with, the map arrived promptly and some queries quickly dealt with.